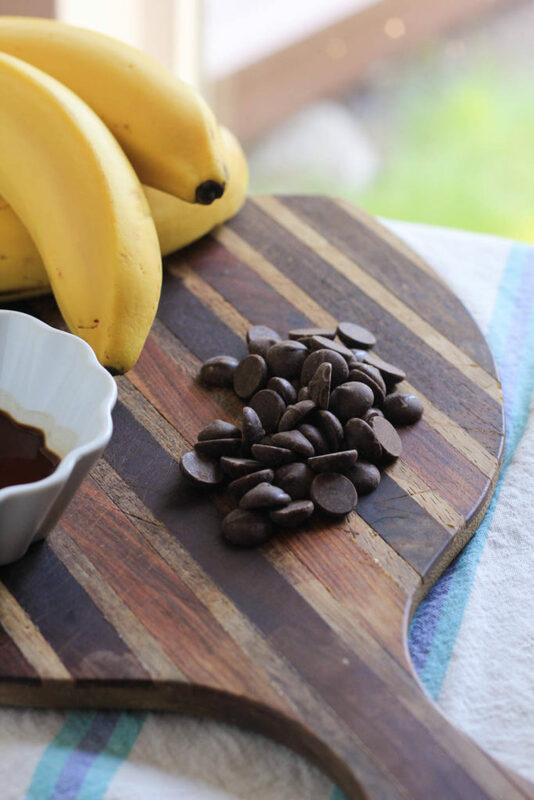 There’s something about a very simple combination of chocolate chips and bananas together. Just like in banana bread, but today it’s all about the frozen treat! I was reading something a few weeks ago that made me want to make this recipe. Frozen bananas are comforting in a way and made into a frozen treat with a touch of chocolate makes for a healthier treat. I obviously enjoy dessert but I don’t always want something heavy and full of calories. But a refreshing frozen banana shake with chocolate chip flakes in it is sweet and a treat enough for me. Adding a touch of maple syrup helps make it taste a little more special and sweet. Make sure to taste the bananas before adding the maple syrup, if they are super sweet, just add one tablespoon. If you like more sweetness, add more maple syrup. It tastes so good with the bananas! Then freezing up the mixture for it to be super cold like a milkshake is the part that makes it taste like a sweet special dessert! 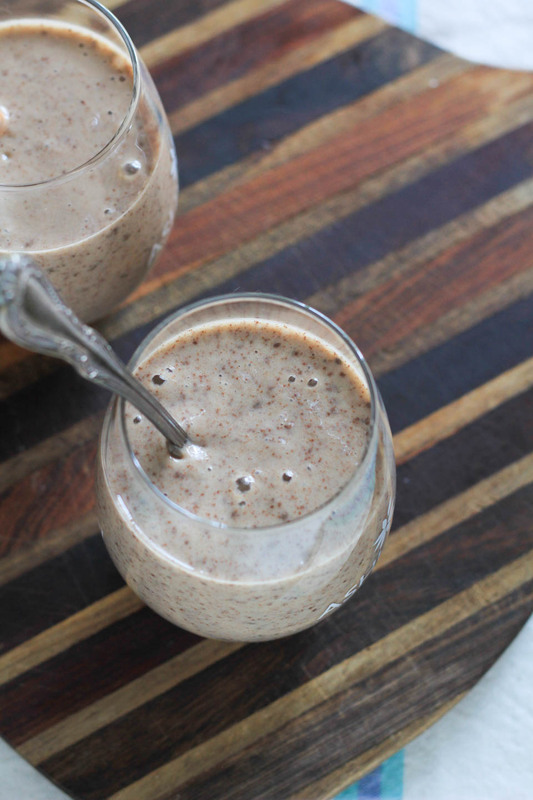 Add peeled bananas, milk, chocolate chips, and maple syrup to blender. Blend on high until smooth. Pour into individual cups freeze for about an hour. Thank you so much Angela! That makes my day, I really appreciate your comments. I’m so happy you enjoyed this recipe!